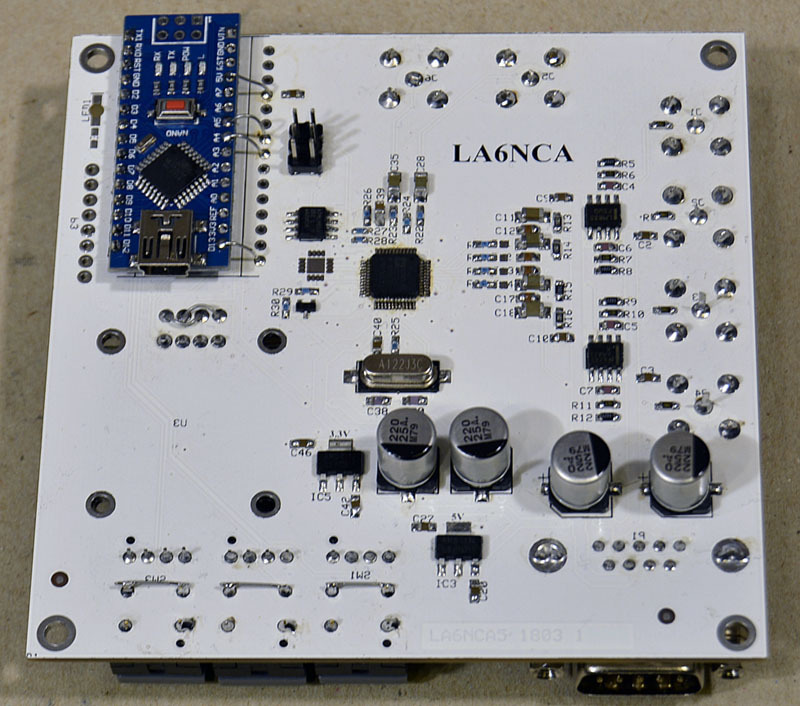 I have designed an audio DSP with ADAU1701 from Analog Devices. It will be used both for radio amateur use and for stereo systems. ADAU1701 has two analogue inputs and 4 analogue outputs. and a small screen. These can be used to set the DSP program. On the bottom is the DSP and the Arduino. I2C connects Arduino, the display and DSP. Here is my newest audio DSP card. It is designed to be plugged into a larger amplifier card or similar. 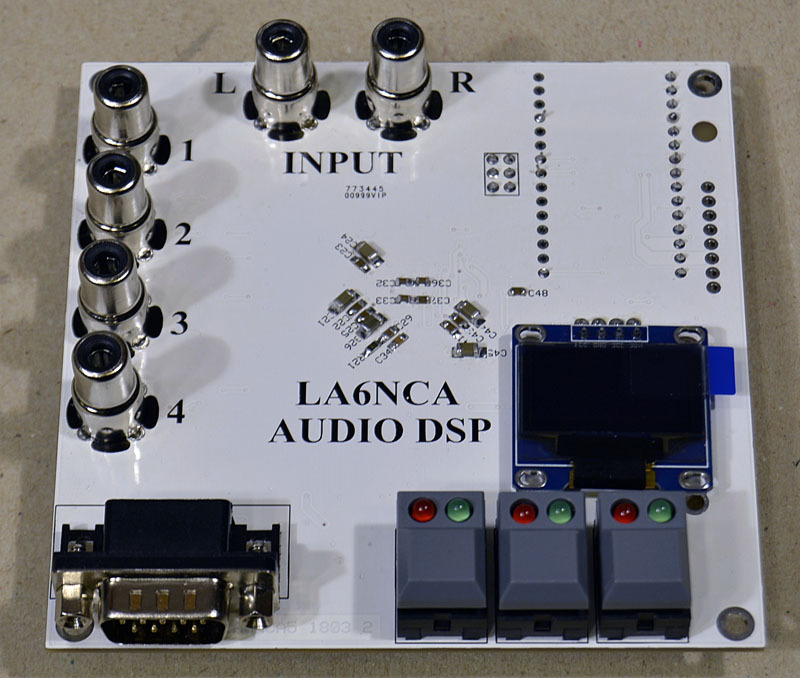 Here I have designed a small compact DSP with phono in and phono out.